The Board’s core responsibility is approving and monitoring adherence to the investment objectives, risk management, strategies, policies and philosophies of Punakaiki Fund, and to ensure Punakaiki Fund meets its statutory obligations. These are reviewed on a regular basis, with policies being added and extended as Punakaiki Fund grows. Part of these core responsibilities include monitoring LWCM’s and Punakaiki Fund’s performance. This involves monitoring and valuing Punakaiki Fund’s investment portfolio, and ensuring that expenditure by Punakaiki Fund is made on a prudent and appropriate basis. The Board is responsible for communications with Shareholders and other stakeholders. This includes approving the quarterly and annual reports, and conducting the annual meeting of Shareholders. The Board also has the responsibility to consider any recommendations made by LWCM that are outside of the normal scope of transactions. These include proposed investments with related parties, investments that would result in more than 20% of Punakaiki Fund’s value placed into one company, investments outside of New Zealand, potential conflicts of interest, and all divestments. 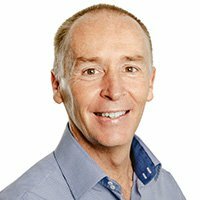 Mike is the CEO of Z Energy, one of New Zealand’s largest retail and wholesale fuel businesses and is a director of Loyalty New Zealand Limited. He previously worked for 25 years with BP in a variety of downstream roles in New Zealand, China, South Africa, the United Kingdom and Singapore. 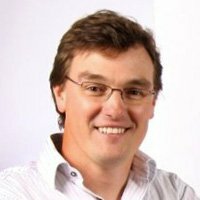 Mike has a BBS and Postgraduate Diploma in Corporate Management; and is a member of the Institute of Directors in New Zealand. Mike Bennetts has a less than 5% shareholding and is an independent director. John is the co-founder and CEO of Pathfinder Asset Management, which has over $150 million in funds under management. John’s previous roles were at law firms and investment banks, including as Head of Execution at Deutsche Bank Structured Capital Markets Europe. John has a BCom/LLB (Hons) and is on the board of the Men’s Health Trust NZ. 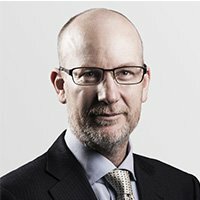 He is also a member of the government appointed Code Working Group, which is designing a new code of conduct for financial advice in New Zealand. Mandy is a director and consultant with more than 20 years’ experience in financial services and technology. 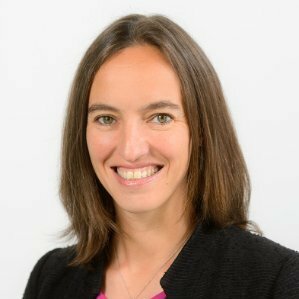 She has previously held senior executive roles with security company Cyber Toa, NZX Limited, technology services provider Fronde and the State Services Commission. Mandy Simpson has a less than 5% shareholding and is an independent director. Lance is the co-founder of Punakaiki Fund and a principal with LWCM. Lance Wiggs is an executive director, as he is one of the principals of the Manager. The board, led by Mike Bennetts, is running a process to appoint an additional director over the next few months. September 2016 interim financial statements for FY2017. Punakaiki Fund was formed in April 2013 but was not active before the end of the financial year end 31 March 2014. The Punakaiki Fund Limited Public Offer Disclose Register holds documents that were disclosed as part of the Product Disclosure Statements. The Constitution is the overarching document which sets out the rights, powers, duties and obligations conferred on Punakaiki Fund, its Board of Directors and its shareholders. The fundamental relationship between Punakaiki Fund and LWCM, as Manager, is determined by the Management Agreement. Punakaiki Fund Limited is committed to the highest standards of corporate governance, and uses the Punakaiki Fund Board Charter to guide the Board’s behaviour. The Delegated Authority Policy has more on the powers granted to the Board and the Manager. The Investment Guidance document has more perspective on how we go about investing. The Investment Valuation Policy shows the approach used to value our assets. Our Socially Responsible Investing Policy outlines Punakaiki Funds commitment to Socially Responsible Investment practices. Punakaiki Fund’s holdings are easily seen on the Companies Office website. We recommend using coys.co.nz to navigate, starting with this list of our shareholdings. There is usually a short period between any changes in shareholder registers, officially held at each company’s premises, and uploading of that information to the Companies Office website.